Days Inn Hurley hotel is located in gorgeous northern Iron Country near Bad River, Lake of the Torches, Legendary Waters and Lac Vieux Desert Casinos, Gogebic Community College, Wisconsin Indianhead Technical College, Nicolet College, Northland College. 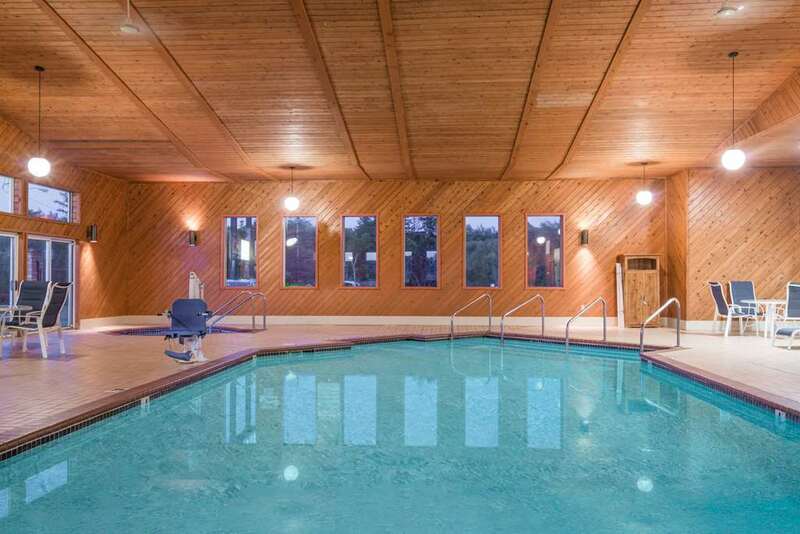 Connect to free WiFi Internet access from the comfort of your room, and enjoy hotel amenities like a pool, hot tub, sauna and an outdoor seasonal patio. If you do not feel like going out we offer pizza, available 24 hour a day in our breakfast area for a nominal fee. Free parking for your large truck, trailer or bus as well as whirlpool suites are available, and kids 17 and under stay free with an adult at our hotel in Hurley, WI. Pets are welcome for a nominal fee. Awake refreshed and refuel with free Daybreak continental breakfast before heading out to the snowmobile trails, easily accessible from our hotel in Hurley, Wisconsin.